What is a definition of a hero? The answer to that question varies depending on who you ask. In the context of war, an act of heroism often takes on an almost impulsive quality, committed by an individual willing to risk his or her life to save the lives of others or perhaps in pursuit of a higher cause. But what if an individual performs an extremely dangerous mission and manages to survive, only to face the prospect of accomplishing that mission 24 more times? This, in essence, describes the life of Army Air Force crew members obliged to fly 25 missions during the air campaign in the European theater in 1943, during which waves of American B-17 and B-24 bombers, escorted by P-38 and P- 40 fighters, pounded Germany. The pressure on these men had to be enormous and performance of their duties required a steady, enduring heroism of a form all its own. The odds of survival for bomber crews were never good. 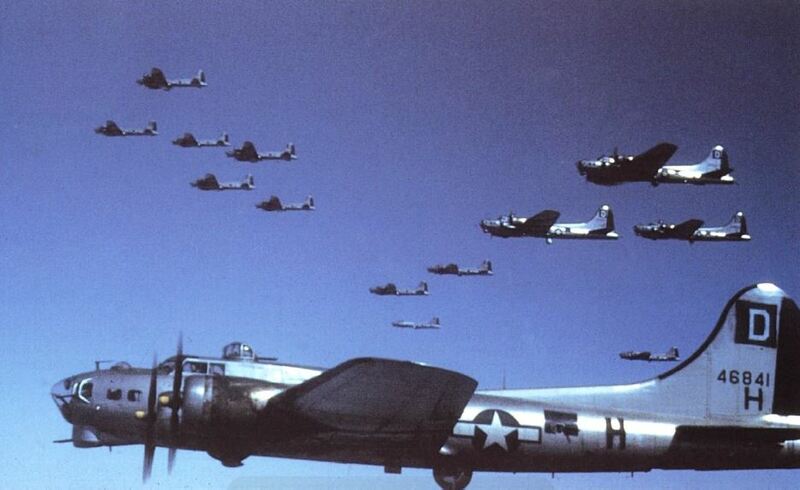 In 1943, fighters escorting them did not have the range to stay with them all the way to the target. This left the bombers to the mercies of the Luftwaffe during the final bombing run and on the way out. In 1944, odds were considerably improved with the arrival of the P 51 which could fly the entire mission configured with external fuel tanks. At this point, the required missions to be flown by bomber crews was increased to 30 and later 35. General Baughn is one of those rare authors who can pull a period of World War II history off a dusty book shelf and breathe fresh new life into it. 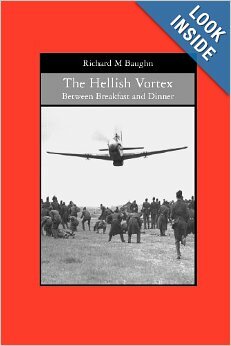 In his latest book, The Hellish Vortex, he describes the air campaign in the European theater between 1943 and 1945, during which waves of American B-17 and B-24 bombers, escorted by P-38, P-40 and P-51 fighters, pounded Germany. In the same narrative, he chronicles the daily lives of the men who flew them. The result is pure magic; a book well worth reading. How did he do it? It’s simple. For one thing, he is a good writer and for another, he flew P-51s in Europe during the same period. As the saying goes, he has “been there, done that.” It works every time. The principal character in the book is 2nd Lt. Robb Baines, a nineteen year old fighter pilot who arrives in the U.K. underage and under trained for his new assignment flying P-51s and escorting bombers to Germany. Like most nineteen year olds, Baines, who I suspect is General Baughn’s alter ego, secretly wonders if he is up to the task at hand. But tangling with German ME 109s and ME 110s is dangerous business with no margin for self doubt, as Baines quickly found out. In time, he became a seasoned combat veteran, a confident leader, and a candidate for bigger and better things in what would become the United States Air Force in 1947. This is a book about real heroes, written by a soft spoken man who remembers those who could not make it home. It is a book to read and remember. The book can be ordered at most online book sellers and downloaded on Amazon Kindle. Another wonderful Pelican Journal post … bringing history to life on this weekend honoring our Veterans.